Windows Server 2012 comes with HardAdmin feature which will restrict a lot of browsing through Internet Explorer. Since Windows Server 2012 is used mostly on servers, it is always advisable to keep browsing restricted on servers but sometimes it becomes necessary to download something on the server. Although you can install and run a third party software like Firefox or Chrome to freely download files but it is not advisable to do so on production servers because of security reasons. 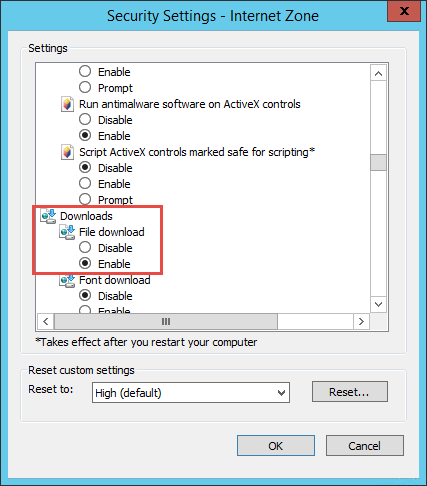 In this article, we will discuss two safe ways to download files in Windows Server 2012 without disabling HardAdmin. 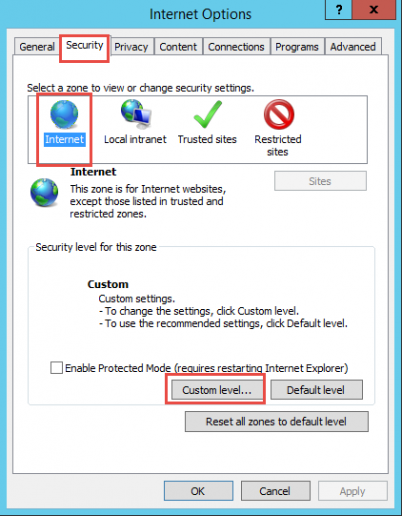 Open Internet Explorer and go to its menu (pressing the Alt key will bring the menu) Tools –> Internet Options. Go to Security tab, select Internet and press the Custom level button. Find Downloads from the list and enable File Download option. 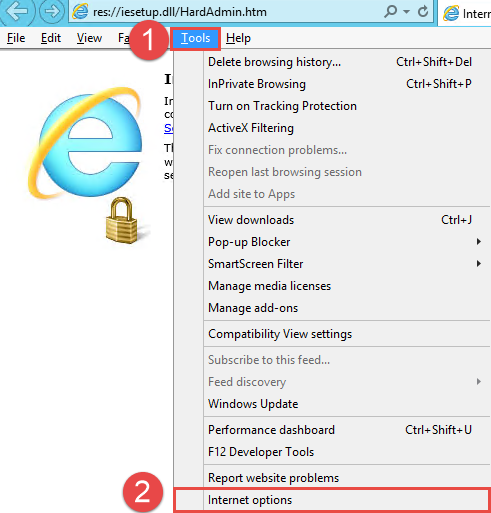 Now you will be able to download files in Internet Explorer in Windows Server 2012. Where http://source.com/file.ext is the direct download link to a file which c:file.ext is the local path of the file in the computer. Although there are many other ways of downloading stuff in Windows Server but we have listed on the safer ones. If you know of any other way of downloading files which is safer than the above mentioned methods, please share with us in the comments below.